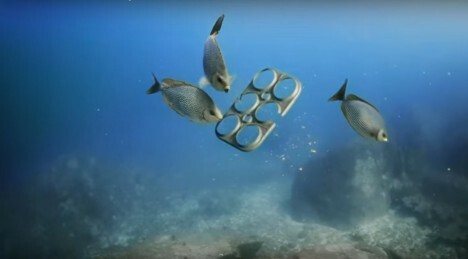 Plastic six-pack rings are one of the most iconic pieces of environmentally-unfriendly design and technology, adding a little convenience for humans but slowly killing animals, at least until now. 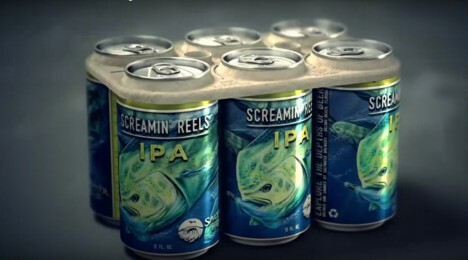 A beer brewery in Florida has created a set of 3D-printed edible and biodegradable can rings that double as food for sea turtles and other susceptible species known for getting their necks trapped inside of rings. This design also represents a neat form of recycling, being constructed from byproducts of the beer-brewing process. The plastic ring problem has been a big one for a long time. 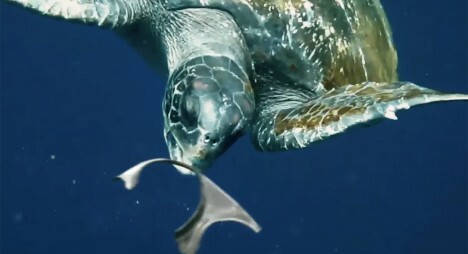 It is estimated that millions of animals have been harmed by them, in part from getting caught within the rings, but also by eating the plastic (so the old trick of cutting the rings before discarding them doesn’t do a whole lot of good). America drinks 6.3 billion gallons of beer annually, and most of the rings end up in the ocean. See more in New Materials or under Science. May, 2016.